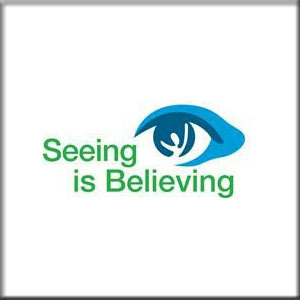 The Seeing is Believing project has set out to contribute to sustainable provision and increased demand for eye care services at the district level for people in four districts of Zambia. To contribute to sustainable provision and increased demand for eye care services at the district level for people in four districts of Zambia. The project is being implemented by The Ministry of Health (through the district medical hospitals), The Zambia Social Forum (ZAMSOF) and Zambia Federation of Disability Organisations (ZAFOD), with technical and financial support from Sightsavers and Standard Chartered Bank. ZAFOD has partnered on this project with specific focus on national-level advocacy, awareness raising activities and engagement with government institutions on policy change. The project is being implemented in four districts in Eastern and Muchinga provinces i.e. Chama, Chinsali, Isoka and Petauke districts. The project has the goal of contributing to sustainable provision and increased demand for eye care services at the district level for people in four districts of Zambia. 2. Men and women with visual impairment access eye health services in the four districts and Lusaka. 3. Increased government and community commitment to eye health at district and national level.